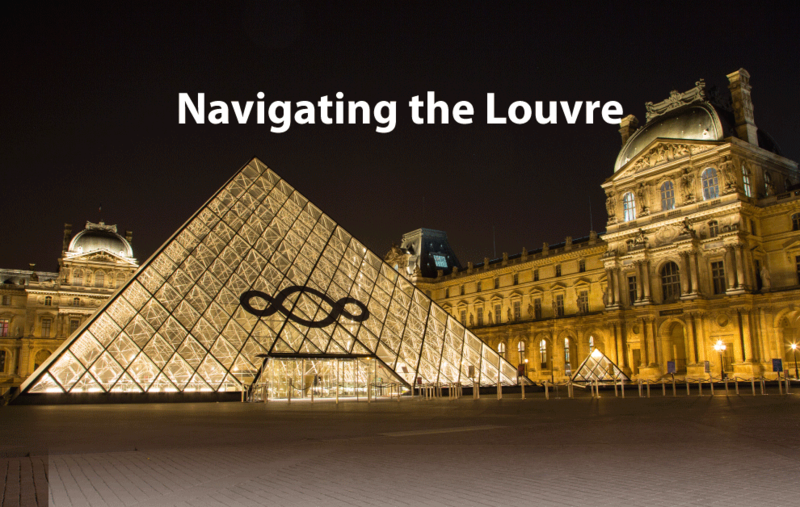 Navigating The Louvre can be a challenge for anyone, but it is especially interesting for someone who is handicapped. I have toured The Louvre with my daughter and my husband on separate occasions; I know the complexity of the museum and the interesting routes you often have to take to get to the exhibits you want to see. This is totally compounded when someone is in a wheelchair. On the trip to France with my younger daughter, one of the parents fell at an archaeological site and damaged her knee. The doctor suggested that she cancel the rest of the tour and fly back home. Now, she and her daughter were Disneyphiles with a trip to Euro Disney planned. There was no way they were going home. Our guide was not happy. He did everything in his imagination to make it difficult for her to keep up with the group as we traversed various sites. He would race ahead and around corners with the group hoping against hope that she would get frustrated and just go home. She was tenacious and I was her constant companion to ensure she got to see everything even if the group had gone ahead. The guide always looked disappointed when we showed up and continued to try to frustrate her into leaving instead. He thought The Louvre would be the straw that broke the camel’s back so to speak. He had arranged a special guided tour for the group, but we could not follow them. In order for her to get around easily, we got a wheelchair and a map with the handicapped routes. What fascinated me was that in many cases there was not a direct route to where you wanted to be. Often, we had to take an elevator down, go over to another hall and take the elevator up to the display we wanted to see. We could not get to the Egyptian exhibit at all in the lower levels. Surprisingly, even with this handicap, we arrived at the Venus de Milo, Winged Victory and the Mona Lisa each before the fully mobile group. Pretty impressive, don’t you think? We even saw the entire exhibit on Rome which no one else did. While the map was incredibly difficult to follow and often did not reflect the correct routes, we did get to see the key pieces and galleries of the museum. We laughed at the surprised look on our guide’s face as we showed up wherever he was and usually before him. What fun is that?